Hearing loss is a tragic situation. 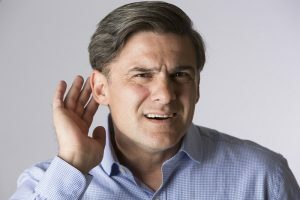 Tinnitus? It’s on the same level, and perhaps worse in some ways. Hearing loss is a tragic situation. Tinnitus? It’s on the same level, and perhaps worse in some ways. Tinnitus is typically caused by a general fault in the hearing system. It’s a symptom that creates a constant ringing in the ears. It’s an unfortunate card to be dealt, but it’s something people must live with on a daily basis. Your first order of business should be to see an audiologist. The audiologist can recommend you the best care. Luckily, the condition has been hindering people for awhile, so there are a few external techniques that have been proven to help with the ringing. If you’re coping with tinnitus, you’re probably stressed out from the condition itself. It can be tiresome, and there’s really no way around that. It causes stress, which only makes the effects even worse. But there’s a way to reduce that stress, and it’s called cognitive behavioral therapy (CBT). The goal of this method is to change the way you think, and the way your body thinks and responds. It’s aiming to shape your behavior and underlying irritants that trigger your tinnitus. No matter what health condition you are dealing with, the ability to eat healthy is basically something anyone can do. It costs a little more, but you’ll actually feel the difference, and your body will quickly adapt. Maintaining a healthy diet (read: whole, organic foods) is correlated to how bad your tinnitus can be. If you choose to eat an incredibly salty meal or an excess of sugar, you will definitely feel the impact of tinnitus more than usual. Along the same thought process as eating healthy, consistently exercising is something you should strive for each week. Exercise will make you feel better every day, whether it’s simply going for a walk or pushing yourself in the gym. It’s another way to reduce your stress, it will make you want to eat healthier, and it effectively lessens the impact of tinnitus. This entry was posted on Friday, September 29th, 2017 at 2:14 pm. Both comments and pings are currently closed.